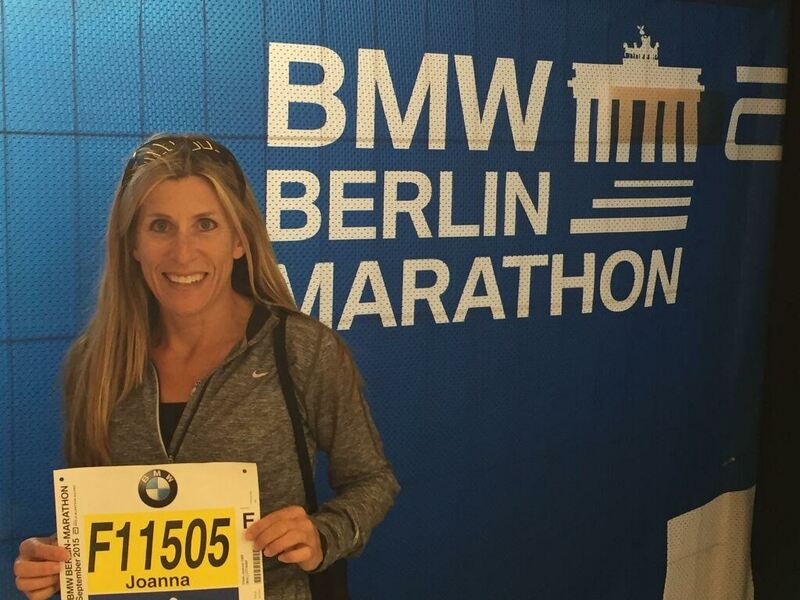 Joanna Vitale at the Berlin Marathon. Following her mother’s death in 2001, Joanna Vitale was up against one of the toughest times of her life and needed to find a passion – something to help her bounce back from the darkest chapter in her life. Vitale struggled to find it at first but she turned to her faith for answers and found it after attending a Christian assembly. “Running absolutely changed my life,” Vitale said. “My mother was killed tragically when I was seven months pregnant with my second daughter back in 2001. I didn’t really realize that it made me depressed. I was just going through life trying to get through most days. 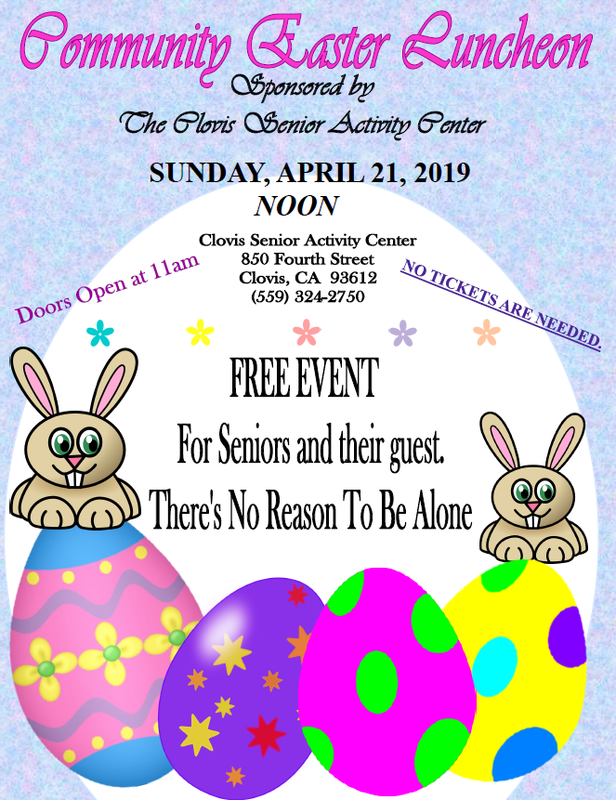 I went to a Christian women’s conference in Fresno and I remember the speaker discussing how you move yourself out of a pit. Joanna Vitale competes in one of many marathons. 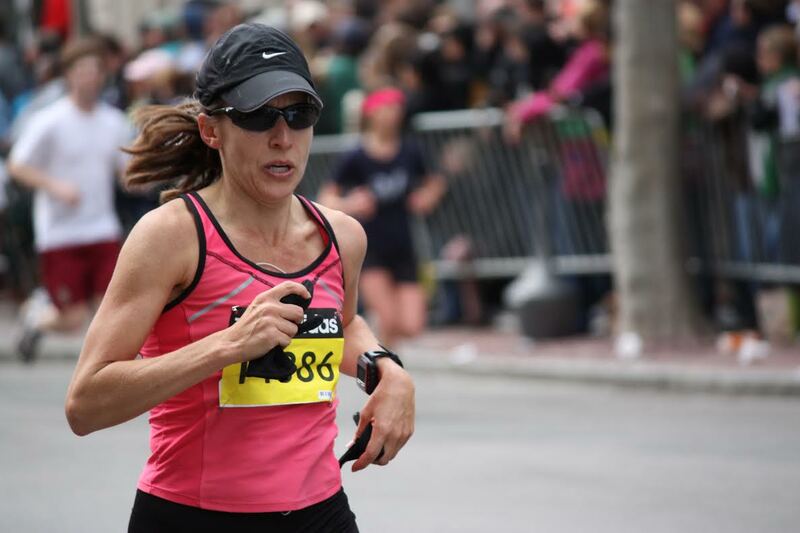 Nearing 10 years after she took up running as a hobby, Vitale, 46, is now on track to complete the six World Marathon Majors. The majors take place in the cities of Tokyo, Boston, London, Berlin, Chicago and New York and all marathons are 26.2 miles and have roughly 40,000 to 45,000 participants. She has participated in four including Boston, New York, Chicago and Berlin, which she ran in late September. Now, Vitale has the two remaining in Tokyo and London. To prepare to run the 26.2 miles, Vitale undergoes different types of running workouts, which she designs, and picks up a diet that consists of carbohydrates and lean proteins leading up to the race. “I keep a running base throughout the year,” Vitale said. “When I start training, I go through about a 14-week training cycle and I write all my own training plans. I’ve been doing it for years and I know what works for me, my age and my body. I just follow my training plan, which includes long runs and speed work. 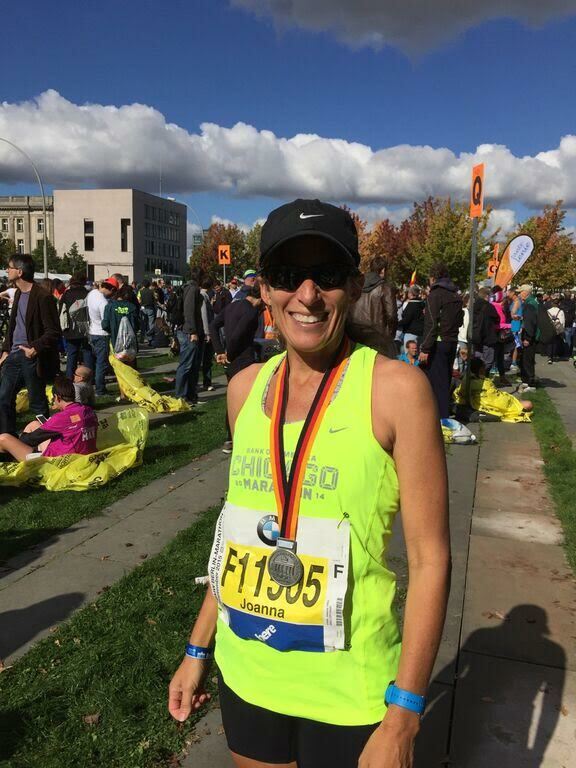 Joanna Vitale at the Chicago Marathon. Of the 11 total marathons she’s run, including four of the six world marathon majors, Vitale said her favorite is the Boston Marathon – an event she has competed in four times. “They’re all so uniquely different but I’d have to say Boston is my favorite,” Vitale said. “I’ve run it four times and I’ll go back and run it again after I get done running all the majors because it’s amazing – the course, the crowd support, the fact that you have to qualify to get in. The field is really fast and everyone is really athletic. DeAnna Turner, Vitale’s best friend, has been by her side since early in her running career and has run a couple marathons alongside her. She has witnessed up and close the work that her best friend puts in and the qualities that make her a determined runner. In addition to running, Vitale serves her community as a track and field and cross country coach at Granite Ridge Intermediate in Clovis. Turner said kids in elementary and middle school need role models and people to look up to at a young age and Vitale is a perfect example of someone that can lead them in the right direction. Vitale will begin writing her training plan in mid November for the Tokyo Marathon, which takes place in February. The London Marathon is the other major left on her checklist and it takes place every April but she will wait until 2017 to run in it.